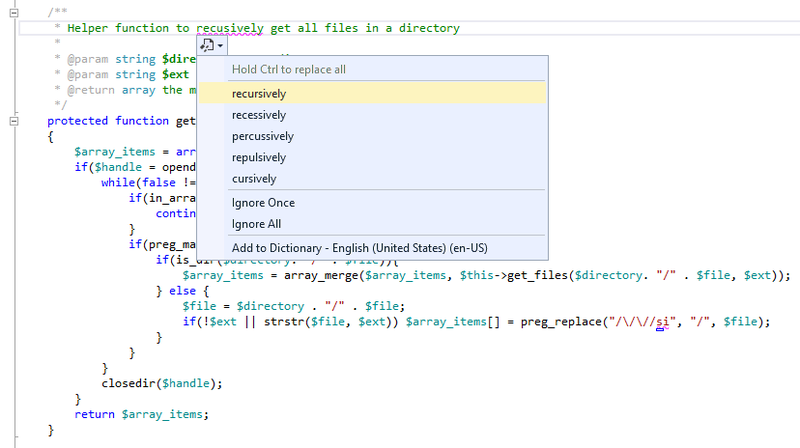 Visual Studio has various spell checking extensions that support PHP Tools for Visual Studio. They make sure that your source code, including strings and comments, is spelt correctly. For this purpose we can recommend to install VSSpellChecker, which can be downloaded from Visual Studio gallery (https://visualstudiogallery.msdn.microsoft.com/a23de100-31a1-405c-b4b7-d6be40c3dfff). Make sure you install at least version 2016.5.28.0, which is the first version to support PHP Tools for Visual Studio. When a misspelled word is detected, the plugin highlights the word and a smart tag is displayed with a set of possible corrections. You can accept some of those and the word will automatically be corrected. Or you can choose Ignore Once to ignore the word for this occurrence only, Ignore All to ignore it for all occurrences or Add to Dictionary. The extension then stops reporting the word. The extension comes with different dictionaries for the main languages. 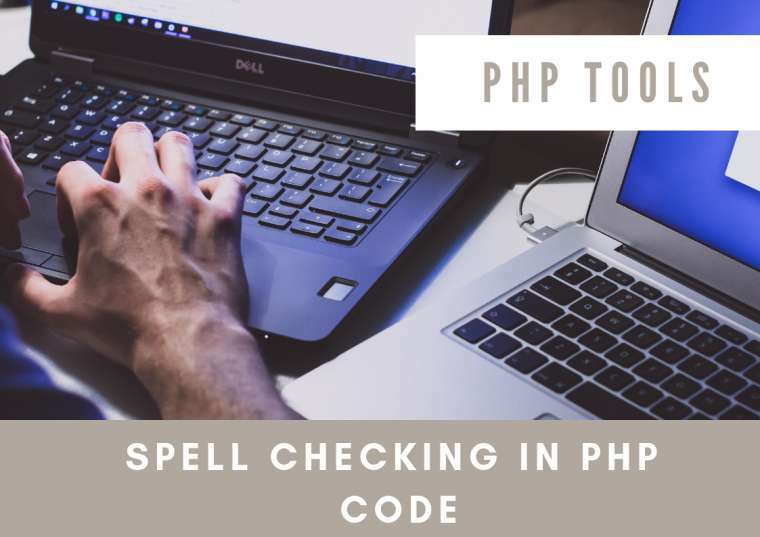 You can change the dictionary in Tools | Spell Checker | Edit Global Configuration, In the Global Dictionary section, choose the language you want and click Add. Press Ctrl + S, to save the configuration. Then you may need to reopen files so that the changed configuration takes effect. Detailed information about VSSpellChecker can be found on https://github.com/EWSoftware/VSSpellChecker/wiki.